Great new price in Bevo! Great Location in St Louis! Circa 1927: A great find in Bevo! 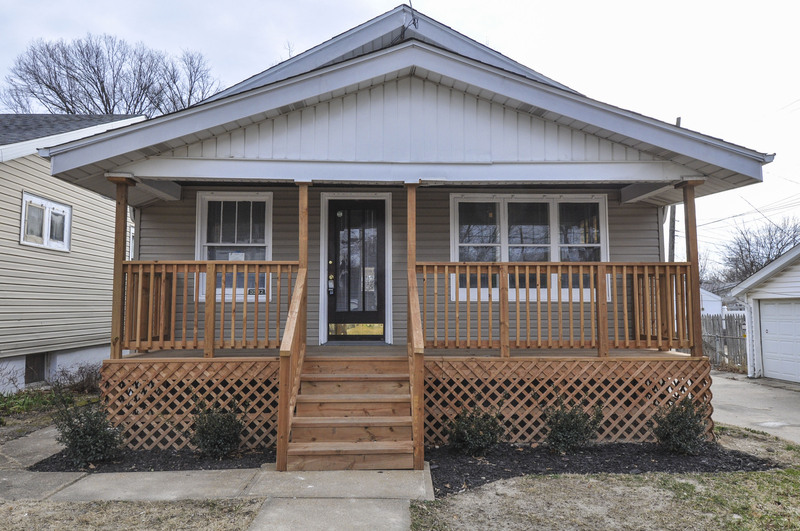 This 2 bedroom / 1 bath home has some great features – great front porch for enjoying a morning coffee & waving to neighbors walking by; brand new carpeting in living room & dining room; stained glass windows; good sized bedrooms; kitchen has some updates; freshly painted & move in ready. The exterior has newer vinyl siding, newer front porch & back porch. This house has a ton of potential for additional living space in the basement for a family room, media room etc… The ceilings are tall & just waiting for your finishing touches. The yard is level & just ready to host the family bbq & washers tournaments. There is a place out back that would be a doable for parking pad for 1 or 2 cars. Easy access to Grand Ave, Morganford & Highway 55. Nice bike ride away from Carondelet Park & the River Des Peres Greenway Trail. Coming soon to the neighborhood is renovated Bevo Mill, now Das Bevo. New Price in Dogtown!! 1318 San Jacinto Court 63139 Lindbergh Schools 3 bdrm/1.5 bth UNDER $94,000! !